Dr. LaGrone specializes in the treatment of spinal deformities and children's orthopaedics. He is an internationally recognized expert in the treatment of scoliosis and complex spinal problems in both children and adults. He has treated patients from all over the United States and several foreign countries. Dr. LaGrone is Certified by the American Board of Orthopaedic Surgery. He meets the challenge of an ever‐expanding volume of knowledge by ongoing research, teaching and continuing medical education. M.D. from University of Texas, Southwestern Medical School, Dallas, Texas. Surgical Internship, Letterman Army Medical Center, San Francisco, California. Orthopaedic Surgical Residency, Letterman Army Medical Center. Pediatric Orthopaedics, Scottish Rite Hospital, Atlanta, Georgia. Fellowship in Spine Surgery, Twin Cities Scoliosis Center, Minneapolis, Minnesota. 1983‐85, Staff Orthopaedic Surgeon, 2nd General Hospital, Landstuhl, West Germany. 1985‐86, John Moe Scoliosis Fellow, Twin Cities Scoliosis Center, Minneapolis, Minnesota. 1986‐89, Director of Spine Surgery, Orthopaedic Surgery Service, Letterman Army Medical Center, Presidio of San Francisco. Scoliosis Consultant to Shriners' Hospital, San Francisco, California. 1989‐1994, Private Practice, Northwest Spine Surgeons, Seattle, Washington. Clinical Faculty, University of Washington School of Medicine. Attending Surgeon, Children's Hospital, Seattle, Washington. 1994‐Present, Private Practice, Amarillo, Texas. Clinical Faculty, Texas Tech Health Sciences Center. Dr. LaGrone has lectured and written extensively on several topics related to the spine and orthopaedics. He has published papers on "Treatment of Symptomatic Flatback" in The Journal of Bone & Joint Surgery; "Loss of Lumbar Lordosis" in Orthopaedic Clinics of North America; "Derotation Analysis of Cotrel‐Dubosset Instrumentation" in Spine, and "Comparison of Same Day Sequential Anterior and Posterior Spinal Fusion" also in Spine. 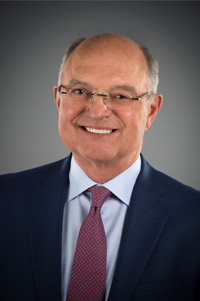 Dr. LaGrone has contributed chapters entitled "Surgical Treatment of Idiopathic Scoliosis" in The Textbook of Spinal Surgery, and "Flatback Syndrome, Avoidance and Treatment" in Seminars in Spine Surgery. Dr. LaGrone is on the Medical Advisory Board of the National Scoliosis Foundation.